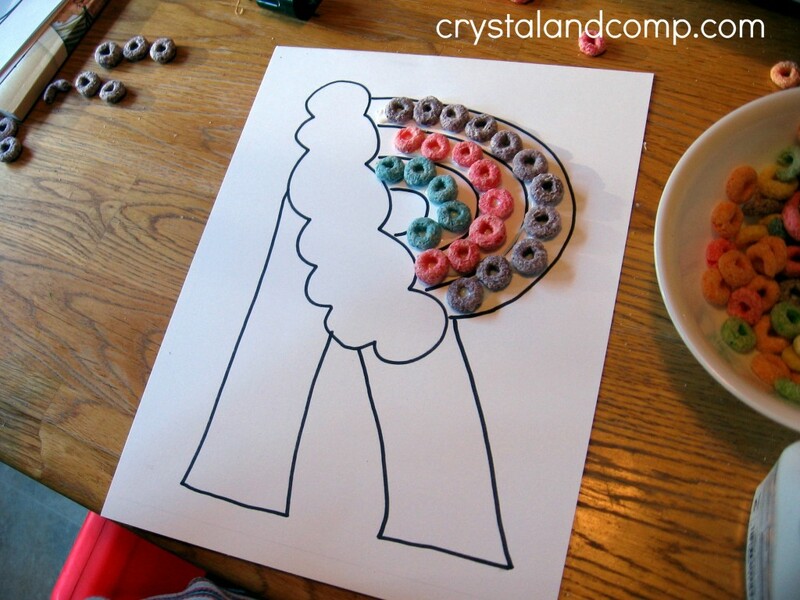 I’m Anna from The Measured Mom, here to share more alphabet learning with our Letter of the Week craft series. 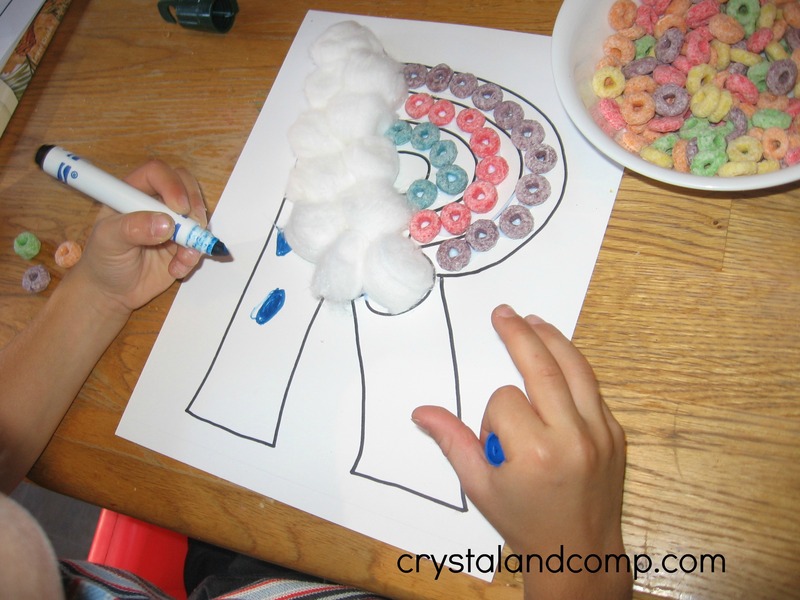 This week we’re doing a fun multi-media craft for the letter R. Be sure to find the suggested songs and book list at the end of the post! 1. 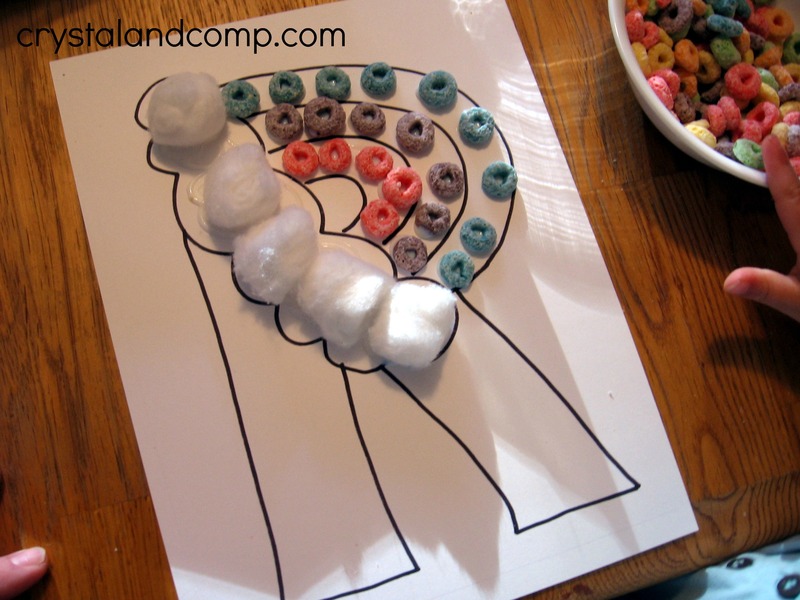 Choose three colors for your rainbow, and sort the cereal. 2. 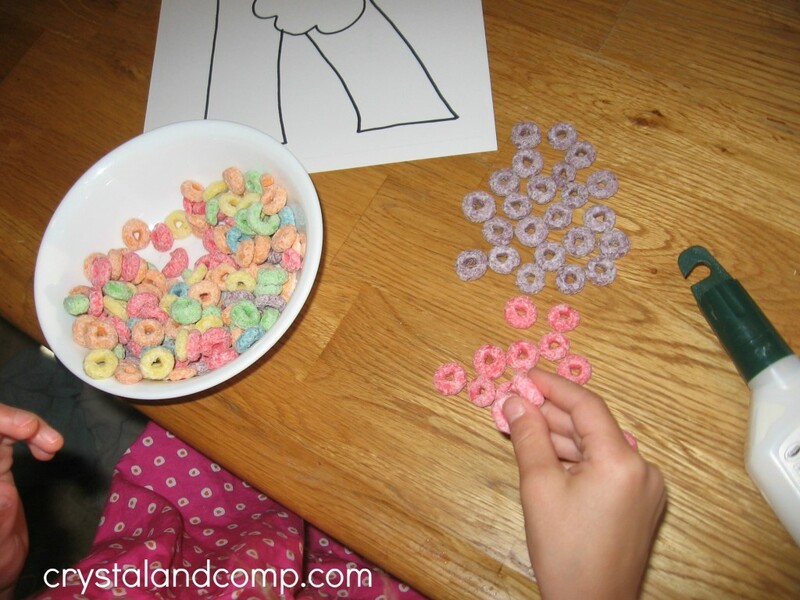 Glue the cereal within the lines to make a rainbow. Use dots of glue or a long stream. 3. 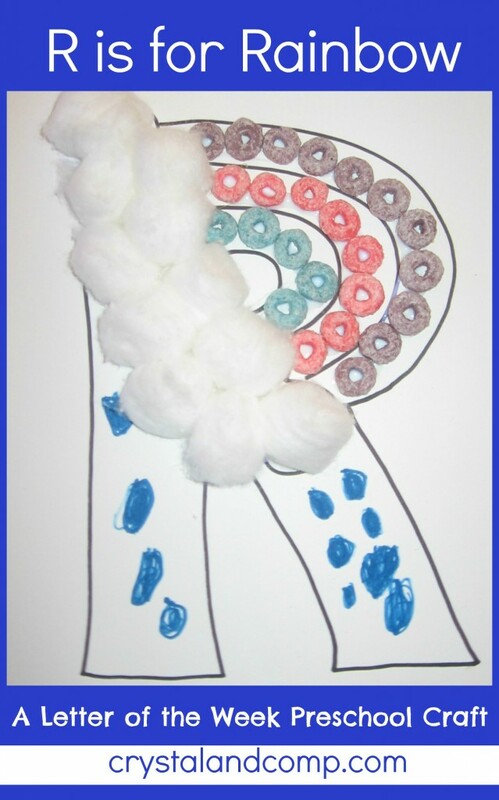 Glue cotton balls for clouds. 4. Grab the blue marker and draw rain. This will look different depending on the ability of your child. My three-year-old drew long lines and his version of a rain drop (pictured). 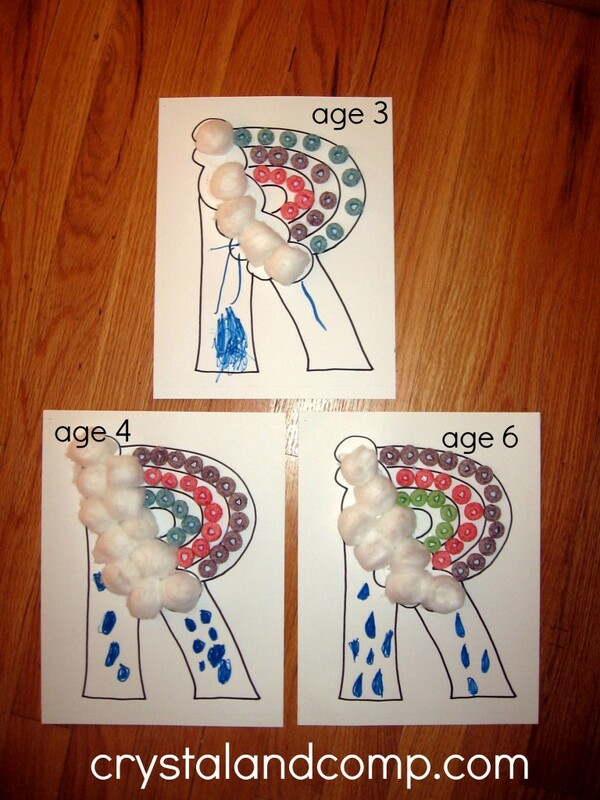 My four-year-old drew rain drops. 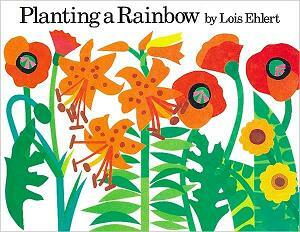 In this bright book, a child and his mother plant a colorful flower garden. This story might inspire you to get out the seed catalog yourself! 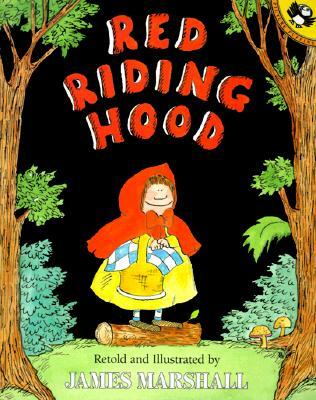 My only complaint about James Marshall’s fairy tale retellings is that I wish he’d made more! We love the goofy pictures and funny dialogue. This book is read over and over at our house – it’s definitely one to own. 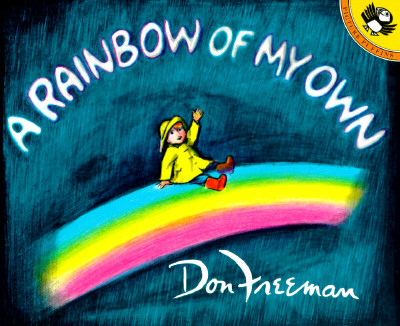 Also check out his other titles: Hansel and Gretel, Cinderella, The Three Little Pigs, and The Three Bears. That looks so cute! What a neat project! 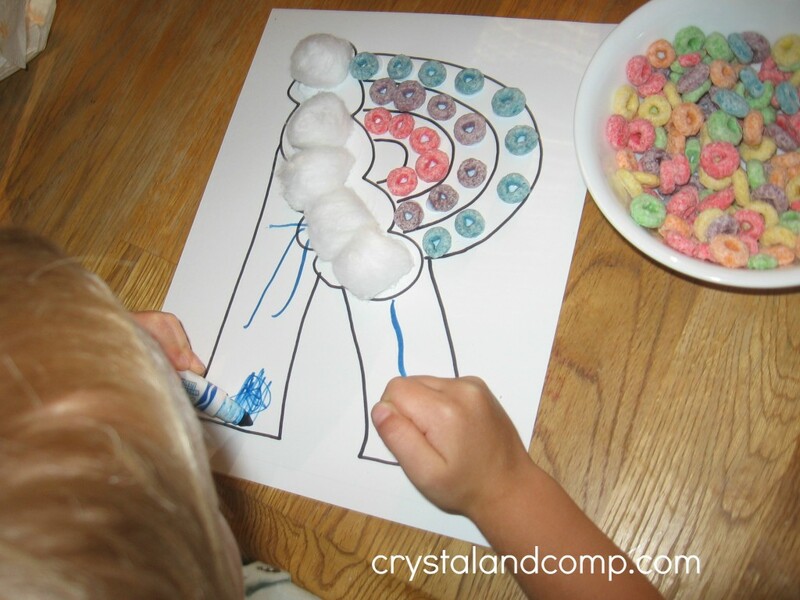 Do you have the entire alphabet completed for the letter of the week craft? I start with M, S, R, T, P, C…for the curriculum we use in Hawaii. Mahalo for your cute ideas! We have done the alphabet in order and we add a new letter every Tuesday morning until we get to Z. As of today we have A-R available on the site. This Tuesday we add S and next Tuesday we add T, etc. At the end of each post we also share the links to the other letters so you can easily backtrack and get the rest of the alphabet. Love the ideas! Pinned it! Thanks for sharing at Titus 2 Tuesdays! I love your ideas! Is it possible to fix the ads for the iPhone? I don’t mind the ads but they make it nearly impossible to look at your website, and i am loving your letter of the week pages! I do most of my searches through my phone unless I find things to print making it more frustrating at times when I just want to see your ideas. Thanks for sharing such wonderful and creative ideas. 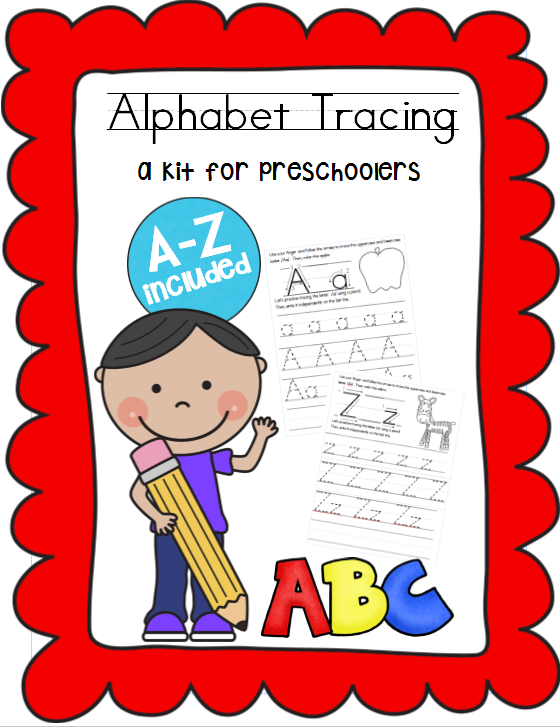 I will enjoy using your alphabet ideas this school year with my 4s. Have a great year! Another great one! So glad this was fruit loops and not Skittles. If Skittles were in the house, they wouldn’t make it to the rainbow. Ahem. Oh honey, I can certainly relate! Skittles are addicting.